On Oct.17, Canada became the second country in the world to legalize marijuana. But that doesn’t mean there aren’t any rules or laws that apply to marijuana smokers, The Washington Post reported. Canadian law allows people 18 and older to buy marijuana, but some provinces have set a minimum age of 19 to match the drinking age, and Quebec has announced its intentions to raise it to 21. The new federal law sets a 30-gram limit on how much marijuana people can buy or possess in public. That’s equivalent to about one ounce. In addition, some cities have specific rules that apply to where you can consume your legal lmarijuana. 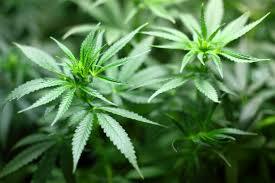 The legal sale of pot is limited to fresh buds, oil, plants and seeds. Edibles are not available for legal purchase although you can cook and consume them in someone’s home. Driving under the influence of drugs is illegal, with different penalties in different provinces. You cannot bring marijuana legally purchased in Canada back into the United States, even if you are bringing it into a U.S. state where marijuana has been legalized. It will be considered both possession and drug smuggling. Although medical cannabis is legal in 46 states, marijuana is still an illegal substance under federal law. The federal government regulates drugs through the Controlled Substances Act (CSA). This act does distinguish between medical and recreational use of cannabis. Marijuana laws are used to prosecute people who possess, cultivate, or distribute large quantities of cannabis, according to Americans for Safe Access. Under federal law, cannabis is treated like every other controlled substance, such as cocaine and heroin.. Under the CSA, cannabis is classified as a Schedule I drug, which means the federal government considers it to be highly addictive and that it has no medical value. Although doctors can’t “prescribe” cannabis for medical use under federal law, they can “recommend” its use under the First Amendment, ASA said.